The Portuguese built several churches in Bandra, one of the earliest being St. Andrew's Church in 1575. Six churches with separate parishes lie within an area of four square kilometers. These churches are: Mount Carmel, St. Peter's Church, St. Andrew's Church, St. Theresa's Church, St. Anne's and St. Francis D'Assisi Church. 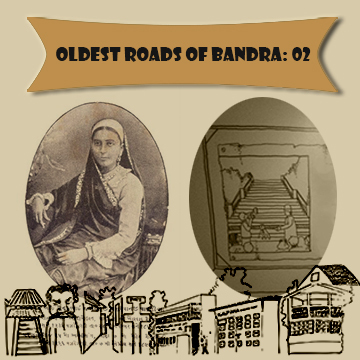 The Basilica of Our Lady of the Mount is affiliated to the parish of St. Andrew's Church, Bandra. There are over 150 crosses at various places. Many crosses were built to ward off the plague epidemic (1896-1906). The oldest is the one relocated in St Andrew's church compound. Stands 17 ft high and made of a single stone. It was originally in the Jesuit Church of St Anne (Santa Anna) built in 1610. The Church was destroyed in 1739 and the cross was relocated to St Andrews church. The surface is carved all over with 39 emblems of the passion of Christ. 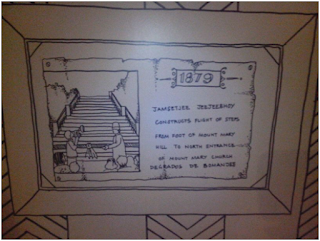 The walls enclosing the compound of St Andrew's church were built by a Parsi, Manockjee Sorabjee Ashburner in 1862. This is recorded on a slab on the main gate of the enclosure. 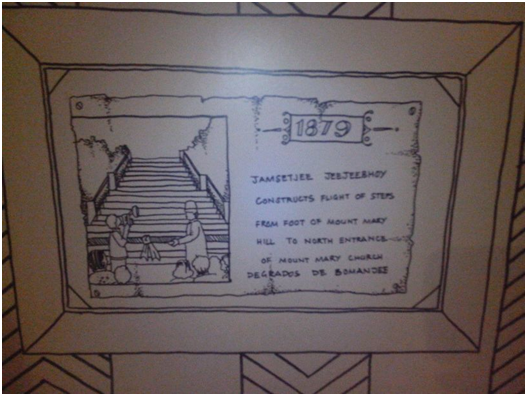 In 1879, Jamsetjee Jeejeebhoy constructed a flight of steps from foot of Mt Mary hill to north side of church known as the degrados de bomanjee (steps of Bomanjee). Salsette was originally separated by a tidal creek which Portuguese called Bandora creek. English changed it to Mahim creek. Crossing the Mahim creek was by ferry to the industrial town of Bombay. After many boats capsized, a road was built by Lady Jamsedji in 1843 at a cost of Rs.1, 55,800. It was designed by Lt. Crawford and opened to public in 1845.The Tata Agiary on Hill Road was built by Tata in memory of his wife in 1884.